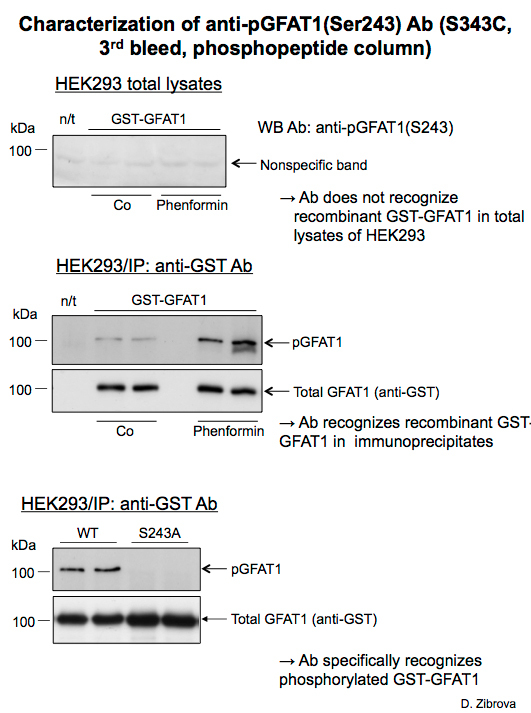 WB Conditions: Blocking: 5% milk in TBS/0.1% Tween 20, 60 min, RT, rocking platform pGFAT Ab (3rd bleed): 1 μg/ml in 5% milk in TBS/0.1% Tween 20 plus non-phosphopeptide: 10 μg/ml Incubate on a screw platform for Falkon tubes for overnight, 4°C Washing: 3x10 min with TBS/0.1% Tween, rocking platform Secondary Ab: anti-sheep HRP-labeled IgG (Pierce), 1:3000 in 5% milk in TBS/0.1% Tween 20, 1h, RT, rocking platform Hemiluminescence detection: ECL Western Blotting Detection Reagents (Amersham, GE Healthcare, #RPN2106) NB! 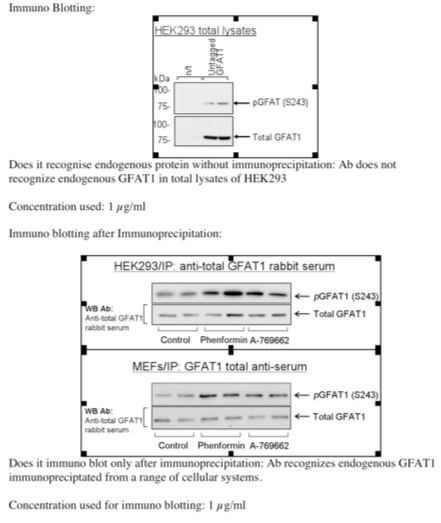 For detection endogenous pGFAT1 the only difference in protocol was a use of 1:5000 dilution for the secondary antibody. 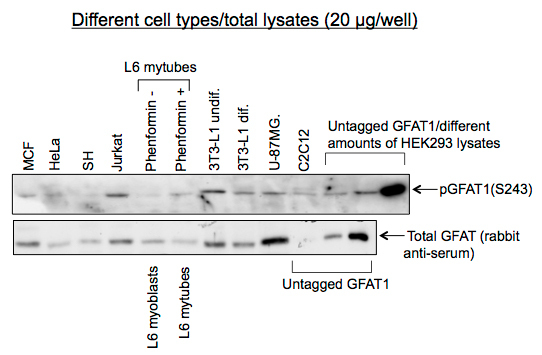 In total lysates of a range of cell types with decent GFAT expression, anti- pGFAT1 Ab readily recognizes a protein with molecular weight corresponding to endogenous GFAT1. 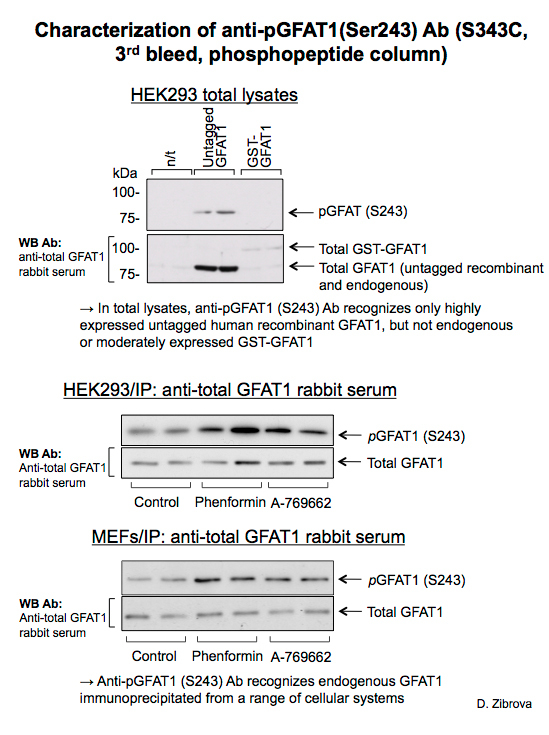 However, for more confidence and better quality of pictures, immunoprecipitation of GFAT is recommended.